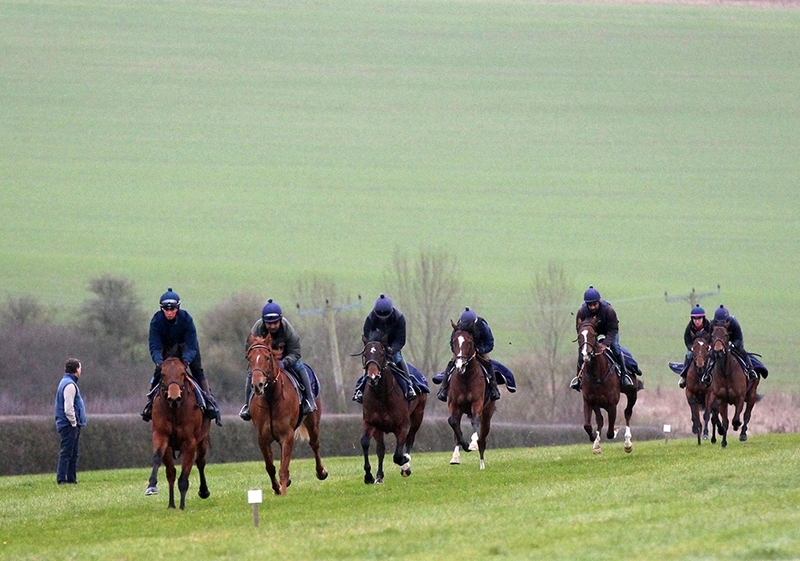 A busy Saturday lies ahead with seven runners at Lingfield and Kempton. It is that time of year when things are getting going and the horses are coming to themselves and their coats are beginning to shine. We just need some sunshine! Star Of War should get her three year old campaign off to winning start in the first division of the Fillies Novice over a mile at Kempton. She clocked a good time when getting collared late on at the Rowley mile last autumn, beaten a short-head by Sh Boom. The first two pulled a few lengths clear of the third that day and the form looks strong. Our filly was on the wide outside and didn’t get any cover so the fact she ran so well is to her credit. We have Mongolia, a Maxios filly in the same division and Clubora, a daughter of Middle Club by Medaglia d’Oro in the second division. Both of these fillies will no doubt improve as the season progresses. Ritchie Valens goes in the Novice race at Lingfield earlier in the afternoon. He goes over a mile on the all-weather which should suit him. Fox Happy goes in handicap company for the first time over six furlongs at Lingfield. This looks the ideal track and trip. We are hopeful of a big run but would be wary of the unexposed Showcasing filly that showed a good turn of foot last time out which could be seen to better effect at this venue. Ventura Glory is having her first run for six months but looks to have a fair mark to work with. Luke Catton is having his first ride for us on Balata Bay in the same race and we wish him the best of luck!